Our team of volunteers removed huge quantities of vegetation! On Monday, October 7th, we put on our waterproofs and waders to get stuck in with Froglife in our Dragon Finder volunteer session. The session was all about tidying up our ponds to help improve these habitats for the amphibians and other wildlife that breed in them. 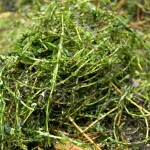 Rakes were used to remove invasive Canadian waterweed (Elodea canadensis) and carefully separating native Rigid Hornwort (Ceratophyllum demersum) which is beneficial to native aquatic life. 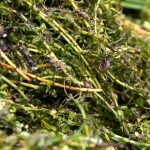 The surface of the pond was thick with Duckweed (Lemna minuta) a problematic plant of many a garden pond. In optimum conditions Duckweed can double in quantity every few days, forming a thick blanket that prevents light getting into the water. This is exactly what had happened in the Mudchute pond. Luckily Froglife had a creative remedy- net stockings stuffed with straw, which were then carefully drawn over the surface of the water (a bit like skimming a winter broth). 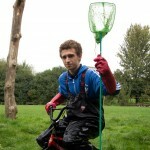 The day was a great success thanks to Froglife and Mudchute’s two long term volunteers Tommy and June. 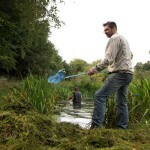 The clear out was done ahead of a big restoration project that is due to commence this week, so we’ll be looking for more volunteers to take part in a spring time planting day on the ponds margins. 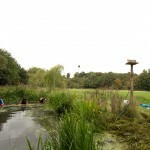 Skimming the pond using a rope made from straw! 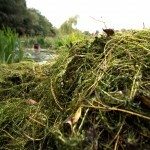 Returning native Rigid hornwort back into the pond. 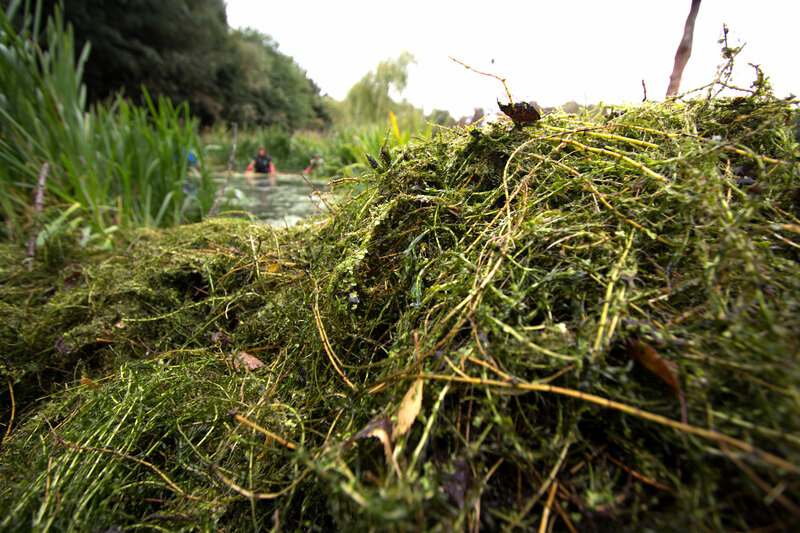 Invasive Canadian pondweed species can choke up the pond to the detriment of native species. 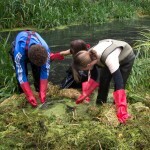 Removing floating duckweed using straw! The removed vegetation will remain near the pond to allow any trapped animals to make their way back into the water. 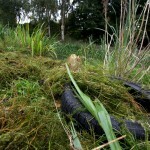 Leaving removed vegetation at the banks of the pond means that wildlife can make their way back into the water. This young newt is one of many wildlife that live in our ponds. 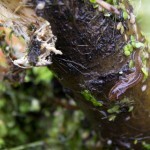 Snails, diving beetles, amphipods and spiders are among the many invertebrates that live in the pondweed. 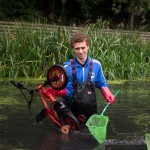 Ben with an unexpected find at the bottom of the pond. 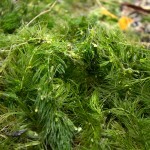 Rigid hornwort, a native species we hope to encourage by removing invasive species.